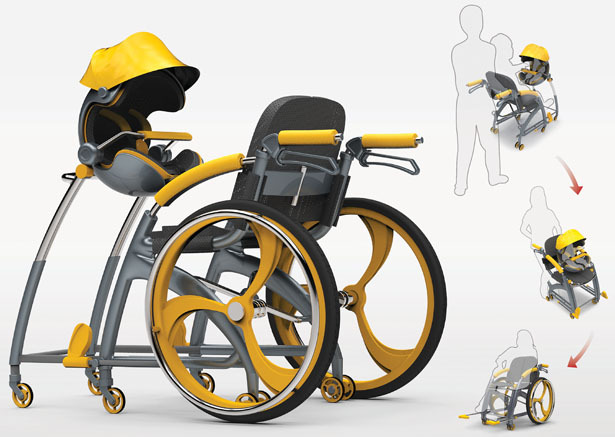 This project features a pretty unique idea, a combination of stroller and wheelchair to facilitate better interaction between 2 generations. 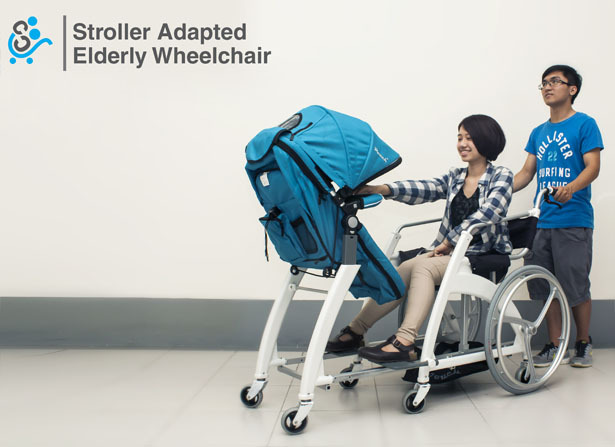 Stroller Adapted Elderly Wheelchair aims to create better connection between a wheelchair-bound grandparent and their grandchild, this unit can also function as regular stroller or wheelchair. 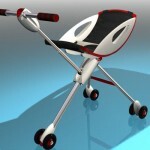 Pushing a stroller and a wheelchair at the same time is a challenge. 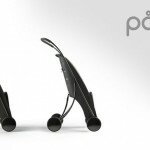 Some people use a connector to attach them side-by-side. This arrangement takes up a lot of space on the footpath, however, and is heavy to push. 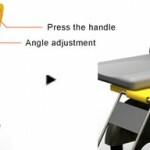 Most importantly, this arrangement disallows direct interaction between the occupants. In many countries, the issue of an aging population urgently requires our attention. 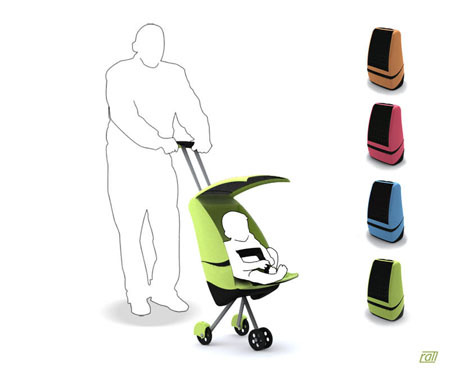 This design was conceived to allow wheelchair-bound grandparents to enjoy greater interaction with their grandchildren, who are pushed in a stroller. 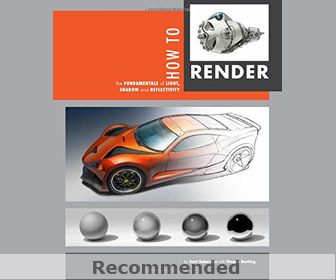 Unnecessary parts are removed to reduce the weight. 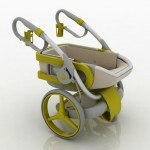 The baby seat is placed in front of the wheelchair with locking joints. 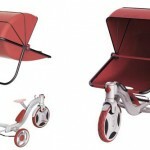 The large side wheels can be detached when only the stroller function is required. 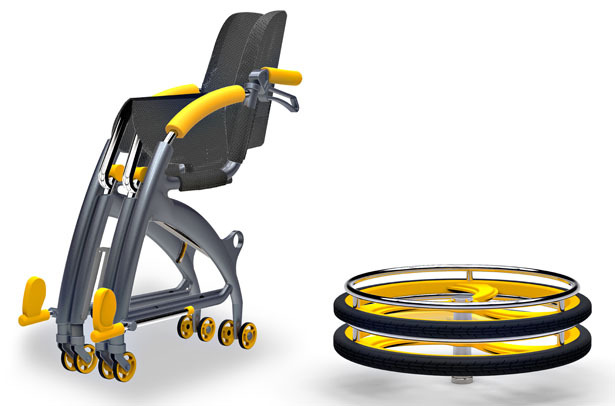 The wheelchair can be folded flat for easy storage and transportation. 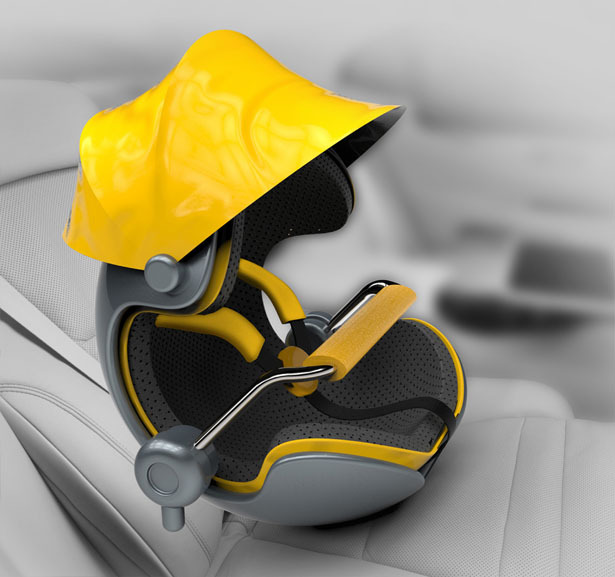 The baby seat can be used as a child car seat. 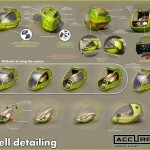 This entry was posted in Designs and Concepts, Family, Life Science and Medical, Wheelchairs. 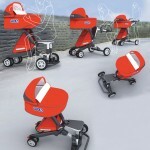 Tagged as baby stroller and wheeler, eldery wheelchair, multifunctional wheelchair, stroller and wheelchair.